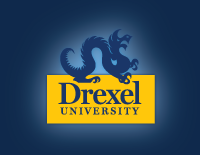 Join Prof. Karl Okamoto and Drexel and Renmin students in an innovative course in Transactional Law. This course mixes on-line lectures and a week-long live simulation in Beijing, China. This is a 3-credit class, “Transactional Lawyering in China and the US: A Comparative Experience” to take place in May 2018. The class will be taught in 3 segments: (1) asynchronous, online lectures; (2) live, on-line instructor-led classes; (3) in-person classes at Renmin University, Beijing, China. In the China portion of the course, you will conduct transaction negotiations supervised by Chinese attorneys from major law firms, including Shearman & Sterling, WilmerHale, and Mayer Brown. Students make independent arrangements for travel to Beijing. Students should plan to arrive in Beijing in time to attend the Welcome Dinner. Saturday/Sunday, May 19-20, 2018 Students make independent arrangements to depart Beijing. Students will stay in dormitories at the University of Renmin. Dorms are available starting Friday, May 11 until Sunday, May 19. All U.S. Citizens need a Visa to enter China.